During the terrifying years of Apartheid in South Africa, Shelley Davidow’s family was a crime. sixteen, devastating truths came to light, shattering the family’s understanding of the past. sometimes, that love is not enough? These immigrant voyages, repeated from one generation to the next, form the heart of this richly layered memoir. Drawing on her grandmother’s diary and letters,Shelley Davidow tells her family’s stories in vivid detail, recounting their experiences of love and loss alongside her own. As she learns about the past,Shelley discovers that her aspirations and fears, her dreams and nightmares, echo those of her forebears as ancestral whisperings in the blood. Drawing on years of experience of writing, teaching and publishing, this book offers essential tools for writers interested in honing their craft. Whether you’re a poet, non-fiction writer, novelist, journalist, student or simply a lover of words, it will take you on an exciting and challenging journey to becoming a sophisticated writer. As in the learning of any true craft or art, first the focus is on specific skills, then on consolidating those skills, which by the end will be innate. Through a variety of exercises and freewriting prompts, Playing with Words will help you develop your writing, trying out new styles and approaches along the way. Use this book in a class, in a group, or alone in a writer’s attic. Stress is rising alarmingly in our children, both at school and at home. 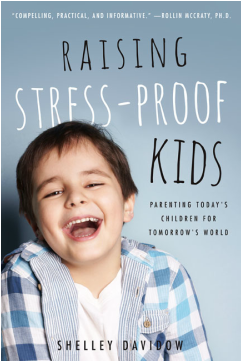 Across the world, hearts are racing, faces are pale — and most of the time we’re unaware that many of our children are chronically stressed. 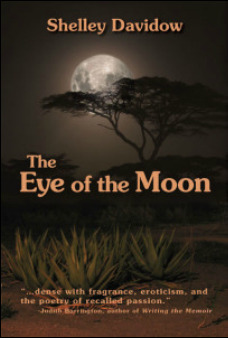 The Eye of the Moon is at once an exploration of love, identity and heartbreak against the backdrop of the changing political face of southern Africa, and a critique of life in North America through the eyes of a young immigrant. It is a poetic memoir about loving and forgiving - men, and women, and continents. It is ultimately also about the undoing of cliches and fixed perceptions of the world. -- Molly Gloss, author of The Jump-Off Creek, The Dazzle of Day, & Wild Life. We all spend much of our lives trying to cope with this thing we call 'failure', and yet failure is an integral part of everyday life. Fail Brilliantly proposes a radical shift in the way we think about failure: erase the word and concept of failure from the realms of education and human endeavors and replace it with new words and concepts that serve us more efficiently. This shift in position has the potential to transform our lives and ultimately reshape our definition of success! ​"If we are lucky, complete and utter failure is part of a life well-lived. We dream big, we live big, we fail . . . sometimes spectacularly. Davidow and Williams remind us that it is not the falling but the rising that makes the journey. Triumph can be born of tragedy. Disappointment may breed wisdom and grace. A must-read for anyone trying to bloom where they have fallen." -- Annmarie Kelly-Harbaugh, author of Here Be Dragons: A Parent’s Guide to Rediscovering Purpose, Adventure, and the Unfathomable Joy of the Journey.